Ivory Coast forward Salomon Kalou is weighing up whether to stop playing international football. The former Chelsea player has 81 caps and 29 goals for his country but hinted he could be about to end his nine-year career with the Elephants. He told BBC Sport: "I won the Africa Cup of Nations and played in two World Cups. But you have to think about if it is the right moment to stop. "I turn 30 this year and I will start having to think about resting my body." 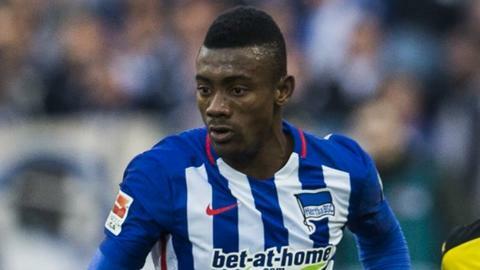 Kalou added that he feels it might be the right time to focus on his club, Hertha Berlin. He joined the German Bundesliga side in August 2014 and scored six goals in his first season. "Last year was a tough year - and also I was away at the African Cup of Nations - but I learned a lot. This season I am aiming to score at least 15 goals," he said.